We are thrilled to have guest blogger, Leanne Sheer, co-founder of Uplife Studios, sharing some awesome advice! Leanne is the author of The Perfect Manhattan and Cocktail Therapy: The Perfect Prescription for Life’s Many Crises, published in 2007. Her writing has also been featured in The Nation, The New York Times, New York Magazine, Glamour, Life & Style, Maxim, and Men’s Health. 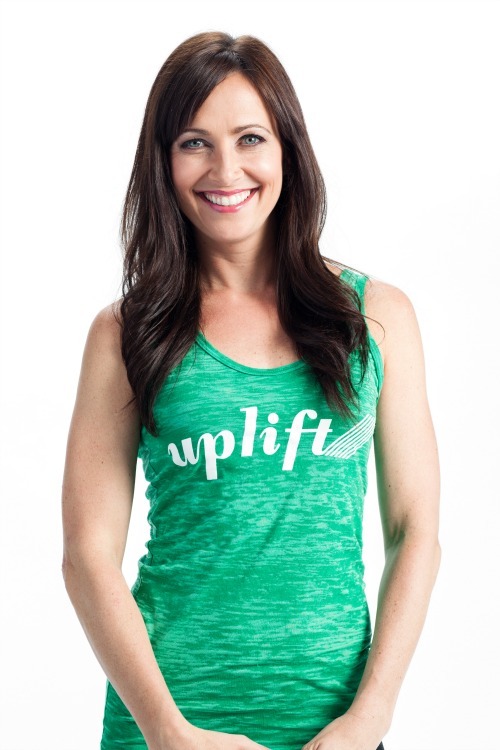 As the owner of a women-only fitness studio, I’m very preoccupied by the idea of strength, not least because that’s the goal for all of our clients. I’ve also seen a direct correlation between physical fitness and mental/emotional strength. Plenty of studies have been done with the end results equating physical strength and fitness with a solid sense of self-esteem. Being a strong woman isn’t easy. It takes work. However, even your weakest moments — literally and figuratively — are opportunities for a fresh start! Here are few key points to keep in mind when it comes to getting strong! Bring on the heavy: Lift heavy weights, even if it’s hard or hurts temporarily. You will not bulk up if you lift heavy (you don’t have enough testosterone and will likely not be sucking down a steak for every meal and protein shakes in between!). You will, in fact, look smaller and more toned. In the same vein, when it comes to the rest of your life, do the strong thing even when it’s really, really hard and you don’t think you have the energy. Yes, you want to text your jerk of an ex after a couple of drinks: make the choice not to and call your bestie instead. Put down the easy option and pick up the hard one. Diversify: If all you do is bicep curls, you won’t even have strong biceps because your body will quickly get used to the move and completely plateau. Have a plan for challenging all of your muscle groups across different workouts. Similarly, in life, if you are constantly doing the same thing over and over and making the same mistakes, you will be miserable. Moving forward involves change. Change should be embraced, not feared. Strong women change and grow (a lot). Ramp it up: Forget the same slog on the elliptical or treadmill for an hour (at least every day) and instead intersperse hill and speed intervals for much better and more efficient workouts. You can also implement short cardio bursts like plyometrics into your routine for added burn and strength. The same holds true for the rest of your life: pick up the pace when it comes to communication. Share. Negotiate. Be vulnerable. Say no. Say yes. Smile: It’s the surrogate for confidence both in the studio/gym and in life. Not quite feeling strong enough for a real smile? Fake it ‘til you make it. 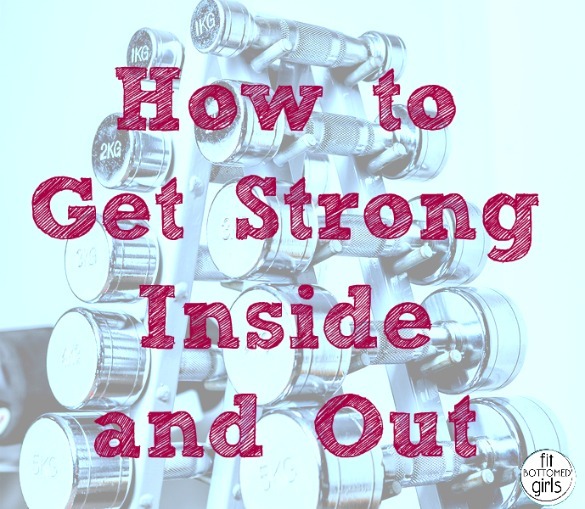 Do you have any advice for mental strategies when trying to lose weight or get stronger? How do you coach your clients to THINK (about food, their exercise, themselves in general)? I am starting to realize that I would really like to work on my strenght (I am more of a cardio bunny, who work out outside). But I feel bit intimidated from the gym. Is there anyone, who could recommend me female friendly gym in Austin? That would be great! Great topic! Strength training is so important for women, and it is often over looked. I know in the triathlon community women stand to gain a lot, in terms of increased performance, by adding in strength training, but with all the swimming, biking, and running it’s easy it is easy to let strength training fall by the way side.